Similar to May, there are so many games I played for the first time in June that I’m going to split this month’s snapshots article into two parts so as to keep it manageably readable. I’ve been on a roll. We also finished off the last scenarios in the Lord of the Rings LCG we hadn’t got to yet, being the Sands of Harad. LotR: LCG is my most played game by far, and I’ve kept stats on all the scenarios we’ve played. It’s a game we keep coming back to, trying different scenarios with different types of decks and difficulty levels. We’re looking forward to the completed release of the movie campaign – they’ve done a marvellous job of catching the feel of the storyline within each scenario so far. In non-campaign gaming, I’ve re-introduced Pax to the group, using it as a late-night closer, and it’s going strong. A win! Very nice implementation. The need for more money and more throwouts (vis a vis the original) surprised me a little, but is compensated by the extra cards available each age. The military and science instant-win capabilities are inspired, providing threats during the game that you must monitor, which immediately provides more interaction and opponent-deprivation plays than the original does. A good thing in a 2 player game. It reminds me of the multiple-win-races provided by one of my favourite 2-player abstract games, Aton, but this has the advantage of being laced with theme, making it more attractive to non-gamers. It’s very likeable. Your traditional space opera affair with expansion, exploitation and extermination aplenty. The tech tree is nicely done, as you feel like you want to do everything, but there are only so many actions in the game. There’s a Nexus Ops feel, in that it encourages you to un-turtle because all the VPs are gained by getting out and exploring and exterminating. That’s good. The problem is that it plays in about four times the time without giving four times the bang. The most interesting decisions are in the actions and the tech’s, but the most time is spent doing the simultaneous movement (which is clunky) and combat phases which, while important, is really just spending time playing out the consequences of the decisions you’ve made earlier re what you’ve invested in. So the game feels a little unbalanced – you ideally want a higher proportion of time spent making interesting decisions. Of course the game descends (like most in this genre) to a bunch of mega dice-rolling battles at the back end of the game. If your group is a fan of the genre and can afford the time investment, it’ll be fun. If you’re not, steer clear. I’m not a huge fan so it’s not a game I’ll play often, but if and when I do, it’s probably as decent as they come so I’ll keep it around, if only to have something decent of that ilk for the time it’s needed. I love the purity of Crokinole, but every themed flicking game I’ve tried (Carabande/Pitchcar, Catacombs, and the like) has left me cold. I think it’s something to do with having to get up and walk around – but you can add excessive downtime, little derived satisfaction, no interesting decisions, minor groan/cheer rather than major, and basically just the fact that flicking something for 45 minutes gets darned boring (well-themed or not). I mean this is as nicely themed as the genre is probably going to get, and it has nice evocative table-scape components. But we ended up abandoning halfway through our first game due to a rising lack of interest in the process and in the result, with too many rules and too many grey areas. Probably the most damning thing about themed flicking games is that (in our neck of the woods) no one cares if they win or not. So this game languishes as a mediocre rating in our sea of disinterest. It sits quite nicely in the opener/closer niche. Easy rules, simple game-play, quick turns, the right level of messing with the other players’ tableaus as a by-product of helping yourself. You start with your numbered cards in descending order, and your aim is to be the first to get them into ascending order. A turn is either to draw a card and replace a card in your tableau with it (a la the 10 Days games) or use a manipulation power to move things around. The neat aspect is that when you draw a card, the card you replace provides a power to the next player, and you need to be mindful of what powers they’d like to use, so it adds a layer of unexpected decision making in what is otherwise froth and bubble. The winning is over-dominated by luck, and there’s not too much cleverness, but that’s ok in a 15 min game if the process is a bit of fun, and it is. Mostly harmless. In fact I prefer it over the original Medici as it does away with all the incessant and interminable auction garbage (at the cost of rewarding the skill of valuation admittedly), replacing it with a simple draft process (which has a nice twist), by which you gradually gain your 5 cards each round. The rest of the game is virtually identical – same scoring for highest collection, same scoring for most in each set, same scoring for reaching a threshold in a set. 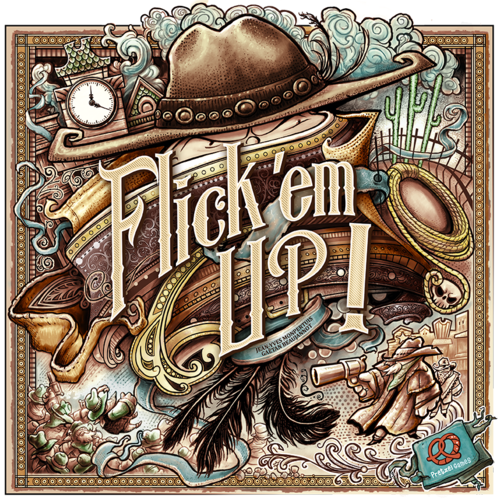 The decision each turn is in the Zirkus Flohcati vein – do I settle for the cards available now, or push another card into the draft that might be worse. Sometimes the decision is easy, sometimes it’s hard, and inevitably there’ll be moments you kick yourself when you eventually see what the next card would have been. All of which is fine. Even better, the game is easy to teach and plays in a respectable timeframe appropriate for its luck level, which makes it much more approachable and replayable. Hence, a higher rating from me than the original. There are so many things I like in this game. The only thing that will stop it rising in the ratings is that the game goes half an hour longer than it feels it should – next time I play I’m going to try the designer’s variant where each turn the new start player increases one of the three game-ending conditions a bit. Regardless, I like how the corporation cards drive you to try different approaches from the get-go, I like that you have to make hard decisions on cards right from the start (and each turn ongoing), because they cost you to acquire them AND to play them. Essentially that’s the game, ie what you pick and play. There are lots of currencies for card effects to mess around with, and lots of approaches to earning VP’s. I like the milestone and award races, and how you need to fund them to get them operational and only the first 3 (and ergo the most desired for this game) of each will make it into play. This, and the fact that you’ll see a different card mix each game, has the potential to drive a ton of replay. – can I remove a skill tile and still get through the dungeon if everyone then passes. As you have no idea what monsters the other players have added to the dungeon, it’s basically guesswork. But at least it’s fun guesswork. The start provides you the freedom to do things like use a low monster to kill off the best skill tile (with the intention of passing quickly), or putting in a low monster with the intention of staying in, and similar options with high monsters. These different approaches provide most of the interest in the game, together with different sets of skill tiles to assess each round. The biggest downside, which stops it being a purchase for me, is the player elimination aspect – when you want an opener or a closer, you want to be inclusive, not have people watching and not participating. But otherwise, a fun time while you’re in. This is such a vastly different gaming experience to the norm that I have no idea where this will eventually sit for me ratings-wise. Firstly, I love balanced asymmetry in a game and I applaud the effort. If nothing else I want to explore the game purely to see how well it’s been done. It’s a weird rules explanation – everyone just reads their own rules, and then we start, gradually working out how each person wins and who’s going to be hitting who, and who do we need to work on slowing down. My fear is that the player who gets away with stuff and falls through the cracks the most will sneak the win. It obviously benefits from everyone knowing all the powers inside out and playing equally well and equally vigilantly. Which will require a few games with a dedicated and willing crew, which isn’t always easy to organise. My second fear is that games would then drag out past their staying power, as at their heart, each power is relatively simple in what it can do and what it needs to do. The beating heart of this game is not the provision of any rich decision making process, as that’s not there, but instead it’s the exploring of its asymmetrical conceit. And that ain’t for everybody, but I’d be willing. Greg S: I have only played Game of Trains once, and I found it far too chaotic for my tastes. There was a considerable amount of interfering with opponents with little defense against such attacks. I own it, so I want to try it again, but I am not optimistic. Joe Huber: Game of Trains (2 plays) isn’t a bad game, adding special abilities to the cards (as compared to the 10 Days series or Rack-O) adds a degree of randomness that – as Greg notes – makes the game feel more chaotic. It works, it just doesn’t make for a more enjoyable game. Medici: The Card Game (1 play) was a little more enjoyable than Medici for me – if not enough so as to get me to play it again. Terraforming Mars (1 play) fell well short for me – I wanted to like the game more than I did, as the flavor in the cards was very nice, but the cards themselves didn’t feel well balanced, and the game went on too long for what it didn’t. We drafted not only during the game, but for our initial hands, and I’m thrilled that we did; I really would have disliked the game without that opportunity. And Dungeon of Mandom (27 plays) is a fun little game, if not a fully compelling one; I found that Welcome to the Dungeon didn’t add to it – and took a lot more shelf space. I still own Dungeon of Mandom, but I’m not entirely convinced it will survive in my collection. 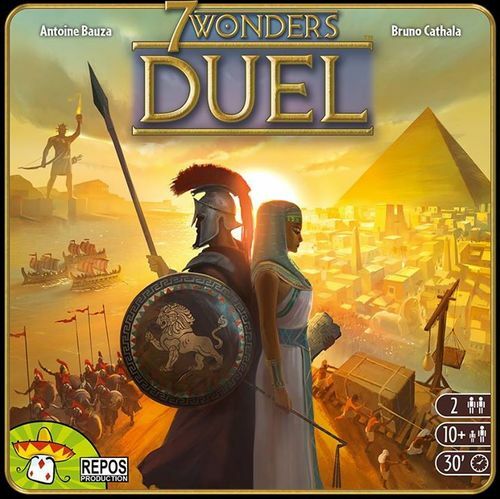 Mark Jackson: I agree completely with Patrick’s assessment of 7 Wonders: Duel (22 plays)… it’s both intricately built and nicely thematic. My one play of Terraforming Mars was enjoyable – but I was concerned that the power of the “take-that” cards might irritate me in another group. 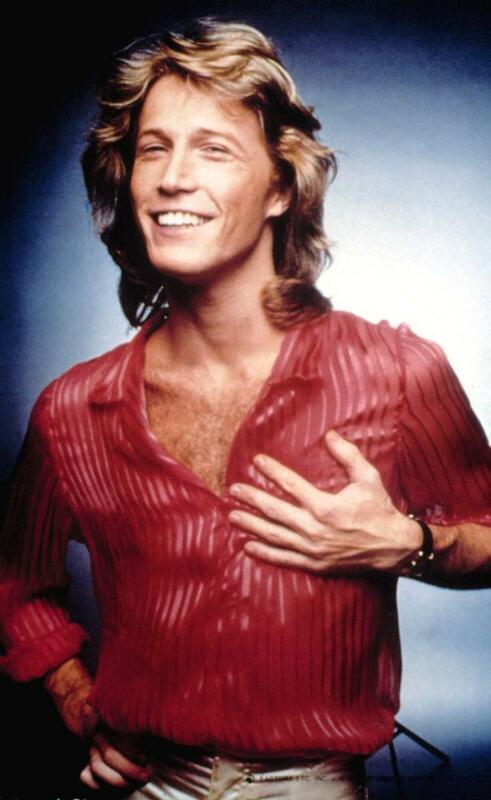 I can see why people are intrigued by it – but I don’t need to own it. As far as Terraforming Mars goes, I find the way the game can turn on one or two cards to be too much variance for a 2+ hour long game. The take-that cards also are not my style. But I can definitely see why some people like those games. I’m just not one of them. Interestingly, I don’t mind the variance in cards in a game like Agricola – which is of similar length – and maybe that’s because there isn’t the take-that element to them. Finally, Dungeon of Mandom is one of those awesome games that is a permanent part of my Travel Kit. We’ve probably played it and the two IELLO versions more than 75 times. It’s not the best game ever, but it fits in my jeans pocket, can be explained in 2 minutes, and can give a group of people an hours worth of entertainment. Larry: Patrick continues to show good taste in games, as I’ve played enough of these to warrant separate entries. 7 Wonders: Duel – One of the best 2-player games to come out in recent years. Very tense, lots of tight decisions, and the possibility of a comeback win is always present. Recommended even for folks who aren’t fans of 7 Wonders. Medici: The Card Game – Preferred over Medici??? Heresy! Medici is one of the classic games, a 20+ year-old evergreen that still gets consistent play from my group. The card game plays better than I thought it would, with a few interesting decisions sprinkled in. Eliminating the auction takes away the most interesting part of Medici, but the push-your-luck aspect is not without interest. Probably best for 4 or 5, as a filler, and a decent effort from Knizia, who seems to be showing signs of life as he approaches his 60th year. But the luck factor is pretty high and it isn’t that short, so Medici’s place in our rotation remains secure. 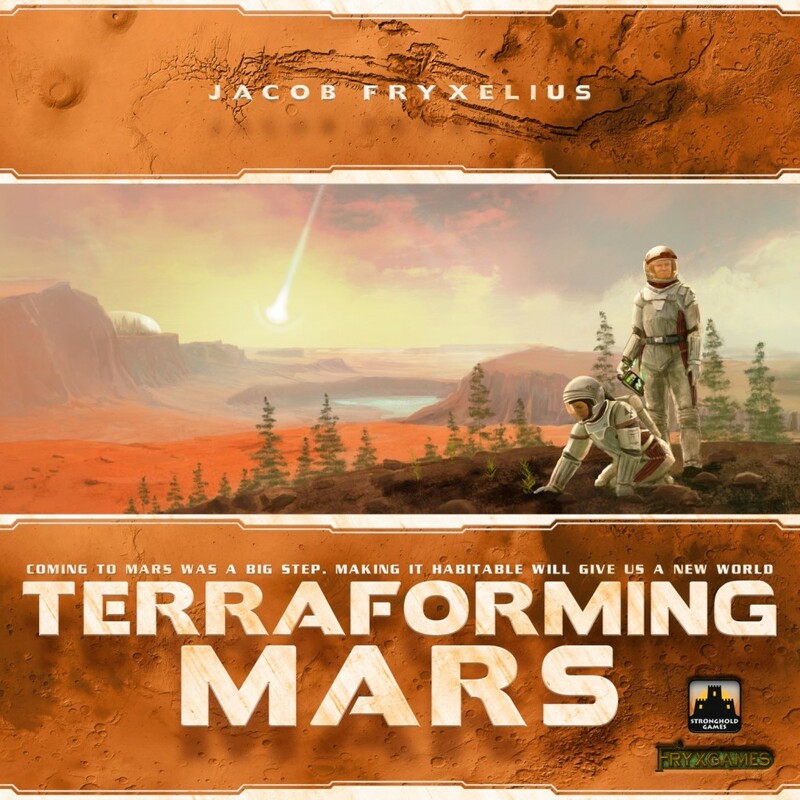 Terraforming Mars – One of my favorites from last year. Great theme, well implemented, lots of variety and replayability, and enjoyable, thinky gameplay. The draft variant from the rules is essential, to minimize the luck of the draw. And the beginner corporations is a very nice idea, letting newcomers to the game get into the proceedings quickly (and even have a chance of winning). It can run a bit long, particularly if the Corporate Era rules are used. That, and my dissatisfaction with the Take That cards (which feel bolted on and don’t really do that great a job of reining in the leader) keep me from rating this higher, but it’s a fine effort and a game I’m happy to suggest. Vast – I play a lot of games, so it’s saying something that my one (and only) play of this was probably my least enjoyable session in 10 years. Even if my experience wasn’t typical (I had the bad fortune to play the Goblins, who have very little to do), I think the concept behind the game is flawed. A completely asymmetric title sounds cool, but it means that until you have half a dozen or so games under your belt, you have no idea what your opponents are doing and have no way of anticipating their moves. So you play in a vacuum, with nothing to do or appreciate when your opponents take their turns. It doesn’t help that much of the very mechanical gameplay takes place on player boards and that every role’s rules are so completely different from everyone else’s. With experience, this might be tolerable and even interesting, but I can’t imagine going through the tedium of those initial plays. An excrutiating experience for me and I still bear the scars of those 2.5 hours! Tery N: I am still really enjoying Terraforming Mars, for many of the same reasons Patrick cites. I have played many 2-player games of it and am happy to report that it works well for only 2 I haven’t felt it has been too long (other than one 4-player game that took 4 hours because no one was actually doing any terraforming); I will be curious to see how the variant works out. Welcome to the Dungeon just doesn’t do anything for me. You get one option and it isn’t very interesting. I keep trying it since so many other people like it, but my opinion hasn’t changed at all. We got 7 Wonders Duel last month and have really enjoyed the game so far. It is a nice, thinky, quick 2-player game. We have since played 7 Wonders and have equally enjoyed it in a different way, although we’d never pick up 7 Wonders because 65% of our gaming is 2-player. Welcome to the Dungeon is the other one on this list that I have played. It was…okay. I played it with some younger nephews and so it worked well for the group but it didn’t leave me wanting to play it again, much less own it. I’d probably play again if a group wanted to get a quick round in while waiting on someone, but I won’t seek out any opportunities to play it. I love asymmetric games, so I really want to experience Vast at some point. I’m that person who would gladly play 10-12 times with the same group to cycle through each aspect a few times.